Karin here today with a little tutorial for how to make wonderful fabric flowers from your (or Grandma’s if you’re not as old as I am (-; ) old curtains. I think these flowers are perfect for cardmaking because they get paper/cardstock qualities while still having the beautiful texture of fabric. Start by cutting out the flowers you want to use. If you want a fringy, shabby finish cut them exactly the way you want them now, but if you want crisp sharp edges cut around the flowers and save the exact cutting till later. Make a bowl of sugar water by mixing one cup of water with one tablespoon of suguar. Make sure the sugar has desolved completely (if you want to speed up the process – use hot water ) before you soak your flowers in the mixture. When your flowers are soaked it is time to iron them. 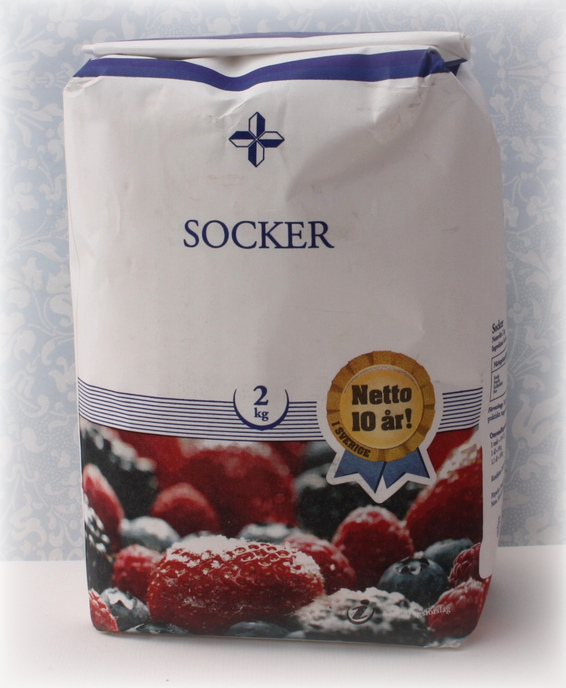 The sugar mixture isn’t kind to your iron so make sure you use the “craft-iron”. You will still want to cover your ironing board with some cotton towels and have onother towel between the flowersand your iron. Iron till the flowers are dry and stiff. For my sample card I stamped and embossed the bg with Hero Arts Magical Background. The sentiment is from the set; Congrats. What a fabulous idea! I may have to give this a try. Thank you for sharing it through this beautiful card! What a gorgeous embellishment, Karin! Another WOW from me, Karin! What a neat idea and a GORGEOUS card! What a fun technique! 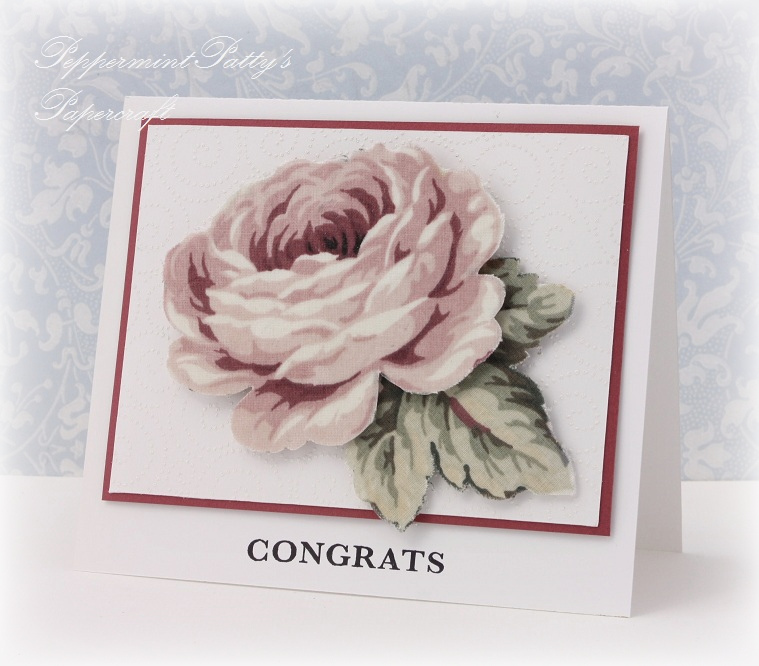 Beautiful card and so frugal too! 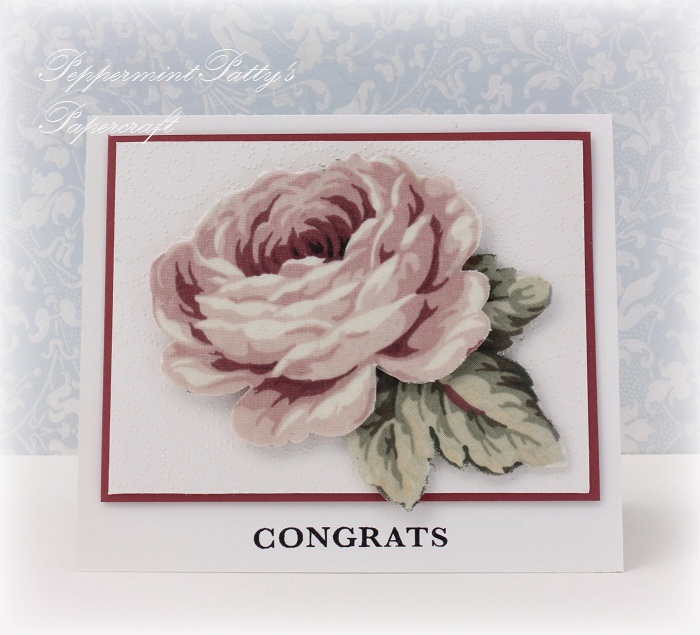 Karin, your card is so beautiful and I love your `sweet` tutorial. This is so pretty! And way easier than coloring it myself! Never heard of this before. What an interesting idea. Have to give it a try. BTW, your Grandma had nifty curtains! I think I bought that fabric. Does that make me old? 😀 Great tutorial, Karin. 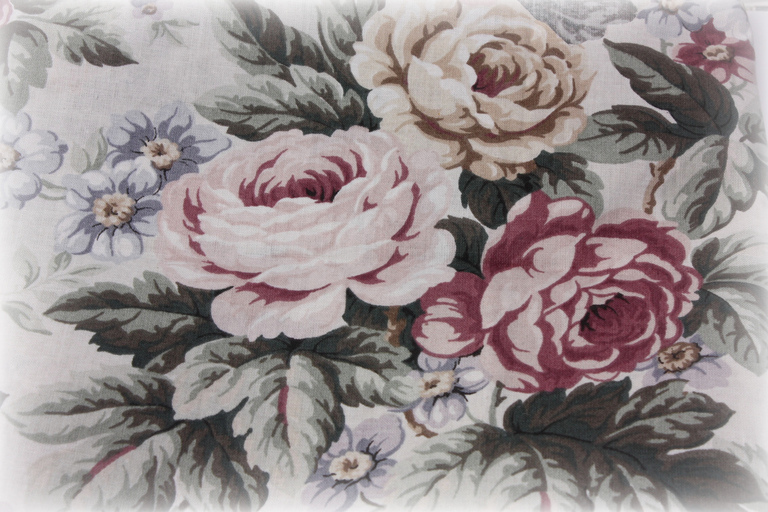 I am a vintage fabric/linen junkie! Thanks for sharing this technique so I can use some of my stash for cards!